Unique Tungsten Rings (http://uniquetungstenrings.com) is proud to offer the latest in designer tungsten rings, those with beautiful and unique statement inlays. 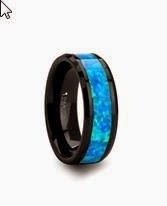 Three of the most popular types of inlays we carry are tungsten carbide rings inlaid with real and exotic wood, mother of pearl and brilliant blue, green, or red opal. 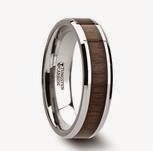 Recently rings with wood inlays and wooden rings have become extremely popular as consumer tastes grow beyond the traditional gold or silver wedding band. 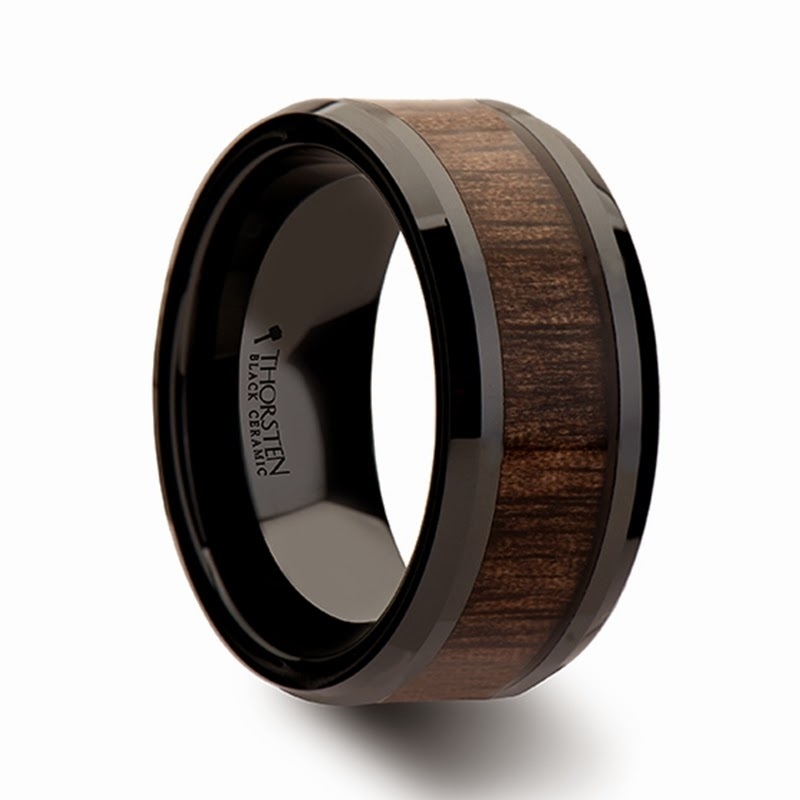 There are only a handful of designers who make tungsten rings with wood inlay and even fewer who make the styles like our beautiful black ceramic rings. We are proud to be among the select retailers offering these unique rings and are excited to have 12 beautiful and exotic woods in our selection. These rings are sure to impress you and your partner while garnering compliments and admiration from all those who see your wood inlay ring. Mother of pearl is the iridescent shiny lining inside of abalone and oyster shells. This beautiful material has been used in jewelry for thousands of years due to its lustrous property. Mother of pearl is an shimmering material that displays many colors, changing depending on the angle of light. This material is ideal as it displays many blue and green colors with some also showing grays, purples, yellows and reds. 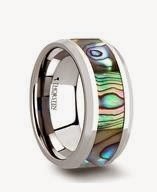 This beautiful inlay is available in both tungsten and black ceramic rings. 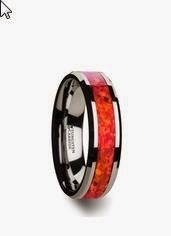 Your wedding day will shine with this ring representing your enduring and colorful love. Opal stones naturally come in a variety of colors and the opals that we at http://uniquetungstenrings.com offer are the most brilliant available. Our opals are sourced from the finest labs in Japan, where lab grown opals are conflict free and eco-friendly. It is important that we work with suppliers committed to the ecosystem and fair trade as we are. Opals are a brilliant and beautiful way to make a statement with your ring and with a bright blue-green color, emerald color, and fiery red color you will be sure to find one that suits you and your interests perfectly.